The talks between BMW, Audi and FC Bayern Munich are apparently more complex than expected. An important role in the negotiations could also play former BMW board member Markus Duesmann who left Munich to join Audi as their global CEO, but received no clearance from his BMW contract. Now it almost seems as if Markus Duesmann is the key player for BMW in the talks with FC Bayern Munich: It is conceivable that Audi will only sell its shares in Bayern to BMW, if the Munich-based automaker in return releases Markus Duesmann. 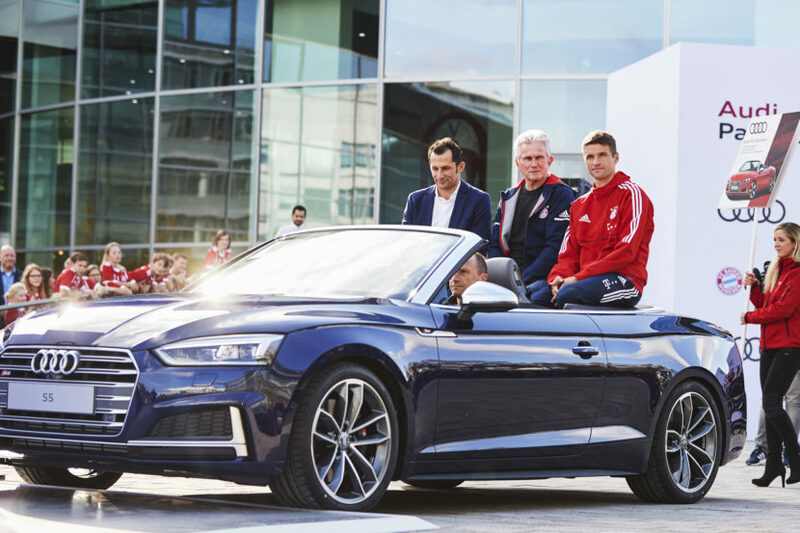 The Audi contract with Bayern will run until 2025 and a change of the automotive partner would only be possible with the approval of the Ingolstadt-based automaker. As part of the Fanclub Christmas party, Bayern President Uli Hoeneß has now officially confirmed that there are discussions between his club and BMW. Hoeness is hoping for a solution over the next few months, perhaps well in advance of the summer break and therefore early enough to tackle the next season with a new automotive partner. For the BMW Group, the entry into the FC Bayern Munich would be a novelty, because on larger engagements in football, BMW has generally been omitted. Audi pursues a completely different strategy here and is active as an automotive partner of numerous top international clubs.